Today I'm sending out a big wave to the lovely group of artists from Bribie Island Community Arts Centre who joined me on the weekend to learn the basics of working with Friendly Plastic. They are a very diverse group of artists ranging from those whose surface of choice is paper right through to those who prefer canvas. So this was a real step away from the surfaces and mediums they are accustomed to using. 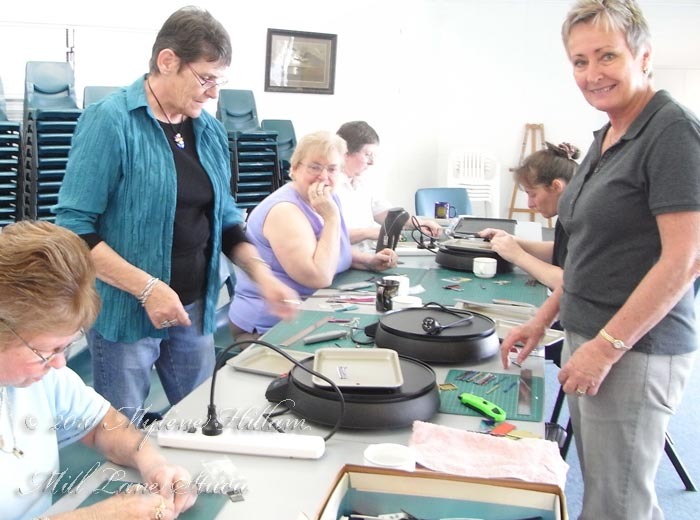 After a short introduction and demonstration of the Fracture and Fusion technique, the ladies were keen to get started and everyone got the hang of cutting and fusing very quickly. There were some really unique ideas amongst the group about what they would do (just as you would expect with artists) and I wish I had taken photos of all the finished pieces but this is the only photo I managed to snap. Some of the colour combinations they came up with were really unexpected like Indian Red/Pearl Mint/Burnt Orange - a beautiful autumn combination which looked fabulous in a gold bezel. And then there was Citron/Stormy Blue/Red/Black - colours that are really in your face but somehow they worked so well together. Now I'm inspired to work with these combinations myself. 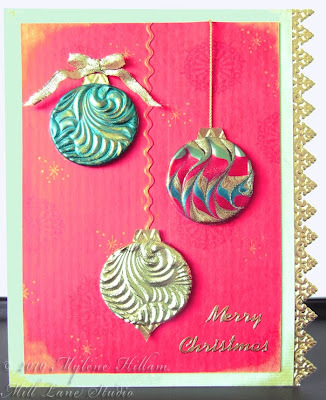 These ladies were not afraid to try something different and we had diagonal stripes, inlaid strips, 3D inlays and also foiled transparency overlays to add some more dimension - everyone had their own take on the technique and each piece was truly individual. It was lovely working with you all and enjoying the wonderful facilities you have at the centre..... I'm looking forward to coming to visit again! Until next time.... keep crafting! 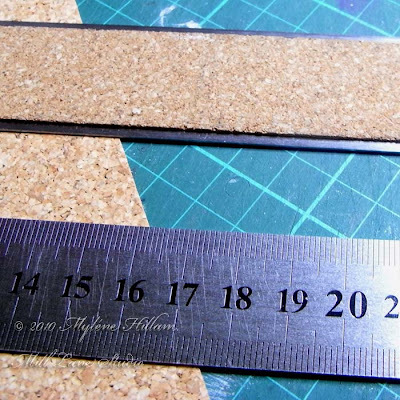 One of the tools I find most helpful when I'm cutting strips of Friendly Plastic is a steel ruler. It's invaluable for cutting strips for techniques like Fracture and Fusion where straight lines are essential for creating a great looking mosaic. 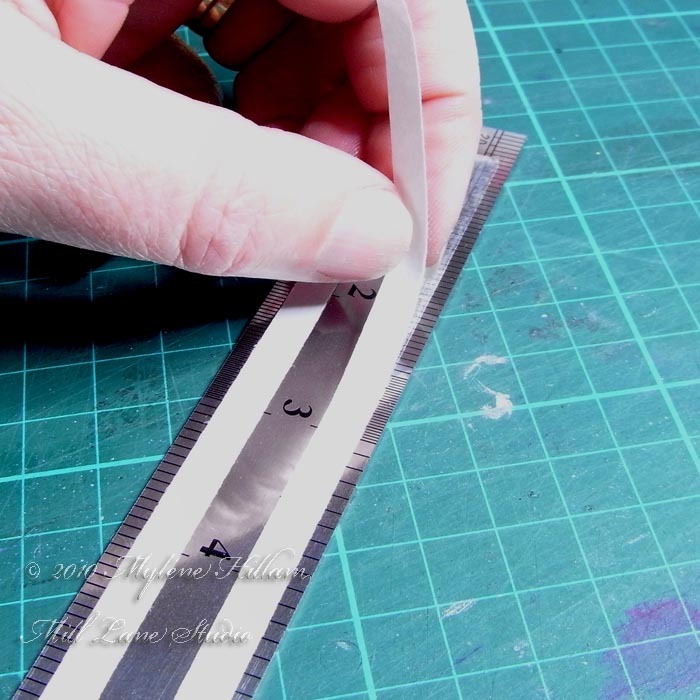 But sometimes, I find the ruler will slip across the slick surface of the plastic, which apart from being dangerous whilst cutting, can also leave you with unsightly slice marks across the middle of the strip. Not only is it wasteful but it's just plain frustrating. 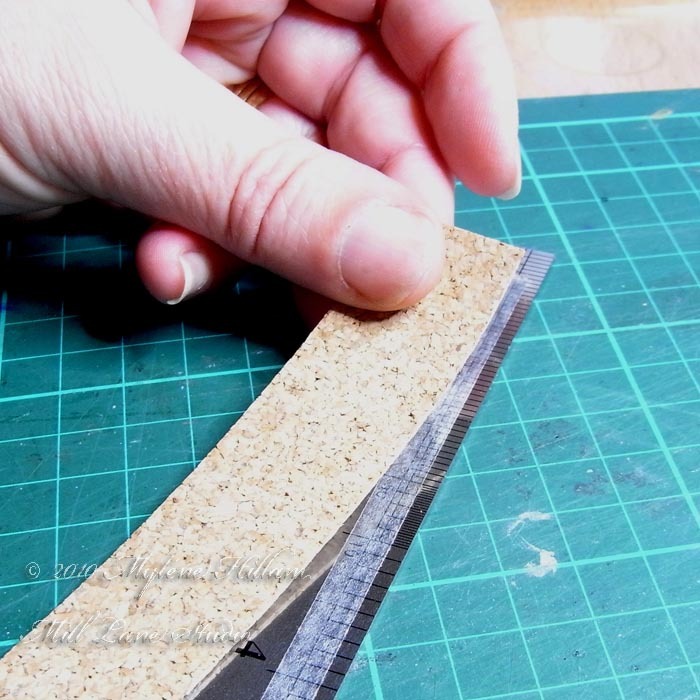 To help overcome this, I use a cork backed ruler which greatly reduces the amount of slipping and sliding of the ruler across the Friendly Plastic. 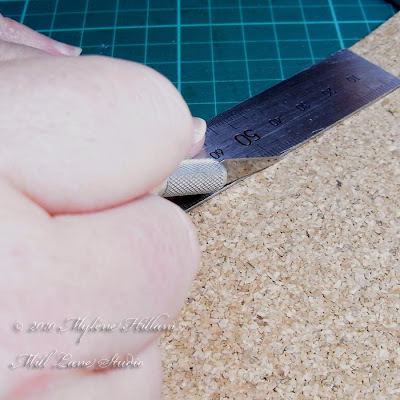 The cork increases the grip making it much easier to cut. Most of my students don't have one so here's my solution - a DIY version and it's super easy and very inexpensive. I made up a bunch of these for class use and they work a treat. 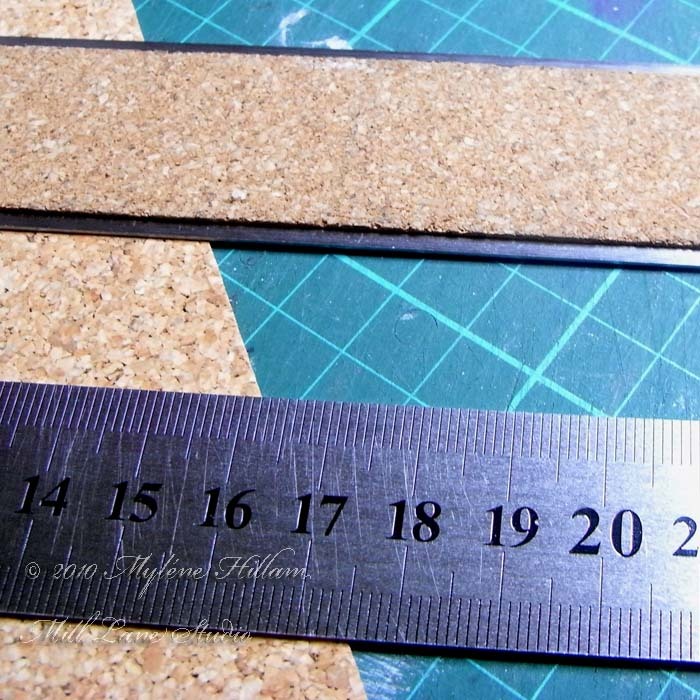 So here's what we're trying to achieve: turning the bottom ruler into something that resembles the top ruler. 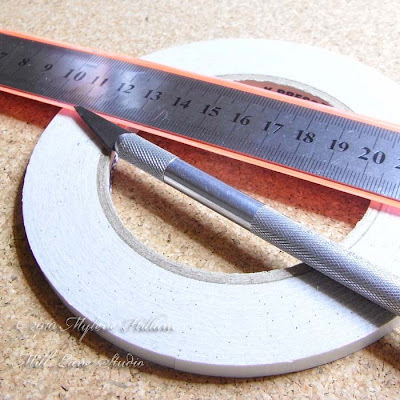 Here's what you'll need: strong double sided tape, a sheet of thin cork, a steel ruler and a craft knife. I bought my rulers for $2 each at the dollar shop. 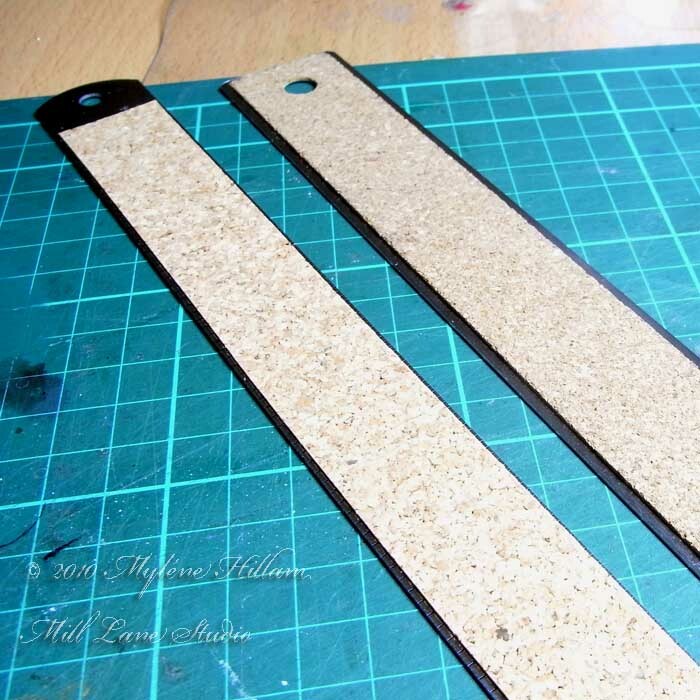 Cut a strip of cork slightly narrower than the width of your ruler using the craft knife. 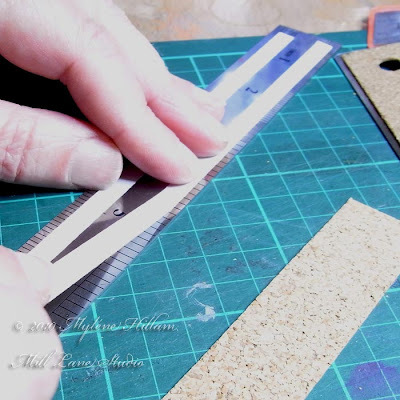 Lay a length of double sided tape along each of the long edges. Remove the carrier from the tape. Align the cork with the tape strips and press down securely. And that's it - super easy and it can done in just minutes! How much use and abuse it stands up to remains to be seen but it held up well for the workshop I taught yesterday. If the cork needs to be replaced down the track it shouldn't be too difficult. Why not give it a go?!! It's quick, it's simple and it's effective. Well, it's actually only anniversary 1.5 - but a milestone all the same and to mark the occasion I'm having a giveaway. If you're into resin jewellery then I have just the thing for you.... a Gift Certificate to the value of $150 for one of my resin bangle workshops. 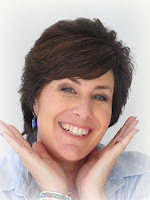 It's a 3 hour course covering everything you need to know about casting your own resin bangles and rings. 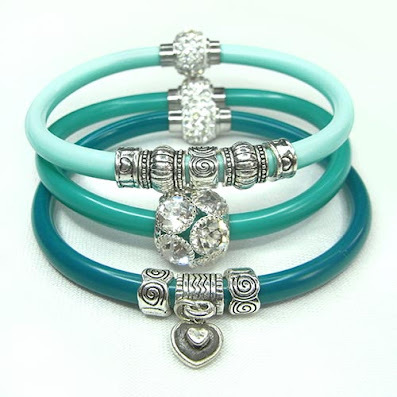 You'll get to cast 2 bangles and a ring and learn how to finish them. And the best thing is you get to wear them home and show them off to all your friends. Imagine telling them that you made them yourself! For your chance to win, all you have to do is leave a comment at the bottom of this post. If you're the lucky winner I'll send you a Gift Certificate in the mail which is either yours to keep or you can be somebody's best friend and give it to them as a gift (it would make a wonderful Christmas gift!). You can see the workshop schedule for the rest of the year on my website: Mill Lane Studio. If these dates don't suit you there will be further classes scheduled for 2011. 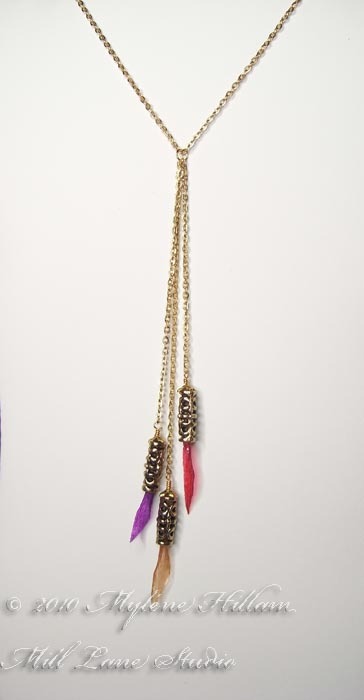 I'll use a random number generator to select the winner which I'll announce on my blog on 21st September 2010. If you're the winner then you'll have 3 days to contact me with your postal address. So don't forget to check back to see if you've won or I'll randomly select another winner. The workshop will be held in my studio in Brisbane, Qld, Australia. If you live out of town, interstate or overseas you are welcome to enter but the winner is responsible for all travel and associated costs. 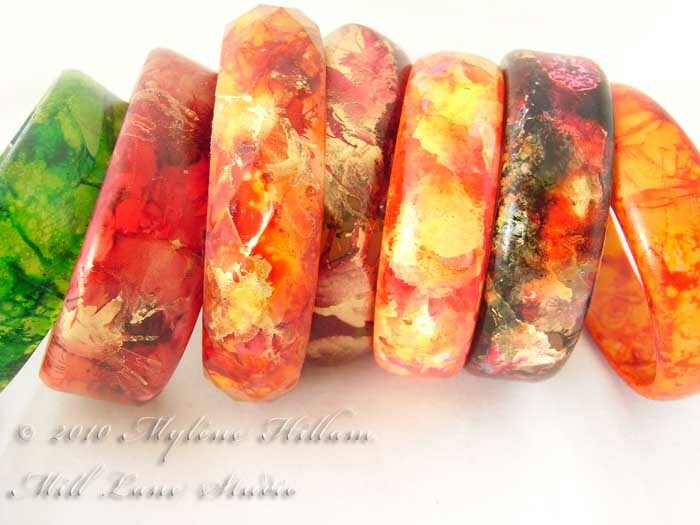 The giveaway is a Gift Certificate that will be valid for a period of 12 months from date of issue and is redeemable for one of my regularly scheduled resin bangle workshops only. 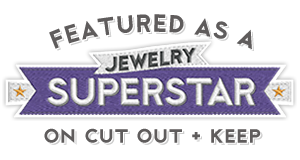 The Gift Certificate is redeemable against Option 1 workshop only, however it can be upgraded to an Option 2 workshop for a fee of $90. If you'd like some more information about the workshops, visit the resin workshop page on my website for all the details. "What the caterpillar calls the end, God calls the butterfly." It is such a beautiful quote and a great way to start off this tutorial. 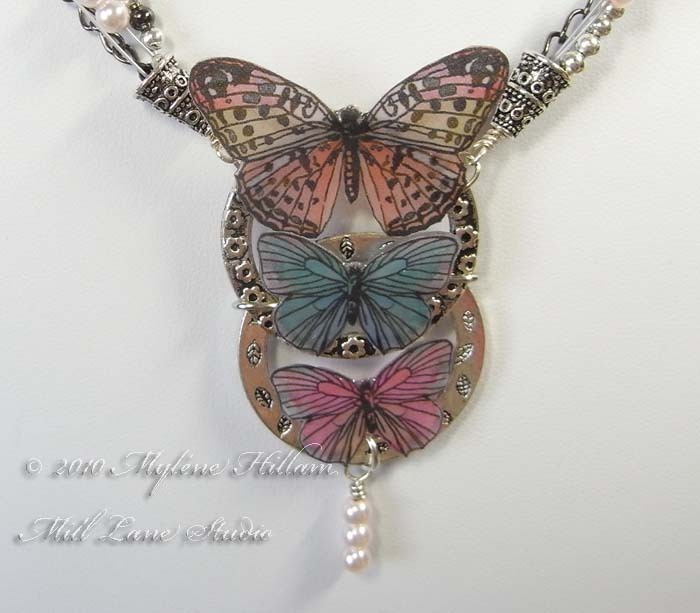 I have always loved butterflies. I am fascinated by the transformation that takes place as a caterpillar metamorphoses into a butterfly - it is truly one of nature's great feats. 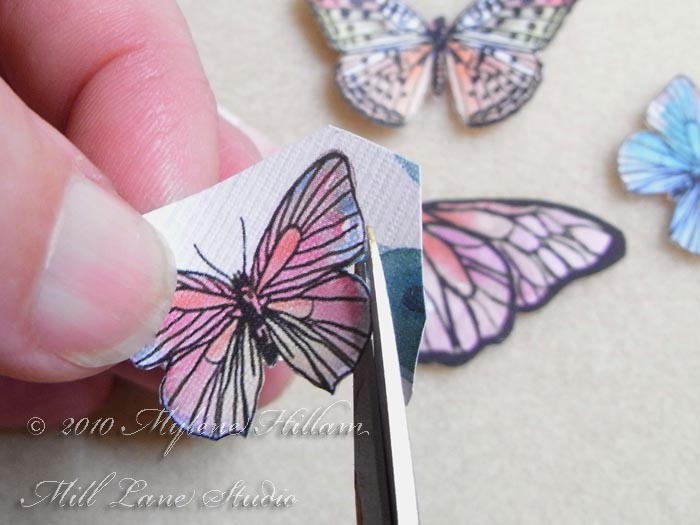 And now that we are in the first days of spring in the southern hemisphere, I thought they'd make a great subject for this tutorial. 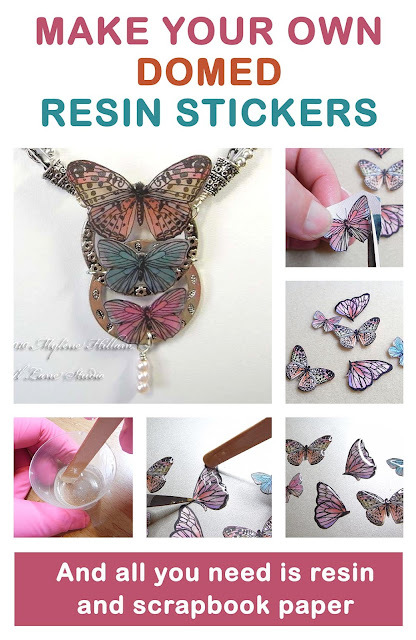 Last week I promised I would show you how to make your own epoxy resin embellishments. And it's easier than you might think. 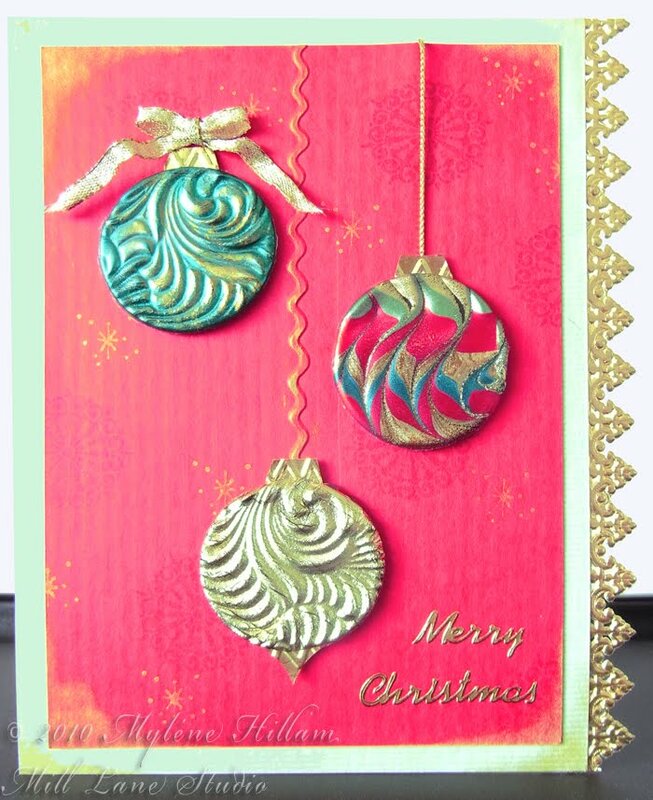 The full downloadable pdf version of this tutorial is available over at my website: Mill Lane Studio, but in the meantime, here it is in blog format. For this technique you will need to use a doming resin. 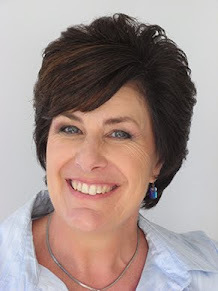 I like to use EasyCast because its clarity is excellent, it's easy to use and it's readily available. And while it's not a doming resin, it does give you the same effect. Small measuring cups. Make sure they have measurements marked up the side. An applicator for applying the resin such as a wooden stirrer, a toothpick, a paintbrush or even a plastic pipette with a fine nozzle. You will throw this item away at the end of your session, so don't use your best paintbrush. Gloves to protect your hands. Always follow the safety recommendations on the packaging just to be safe. You can punch out your images or, if you're feeling very patient, cut around your images carefully. This next step is optional. Seal each side of the image with Mod Podge, paying particular attention to the cut edges. A thorough, even coat will prevent the resin seeping through and causing what looks like an oily stain on your image. This will also keep your images looking vibrant and true to colour. Make sure they are completely dry before proceeding. I omitted this step for my butterflies because I wanted to take advantage of that "oily look" which makes the images more translucent. Place the sealed images on the non stick surface. I've used a Nordic Ware non stick pan but a teflon craft sheet such as an appliqué sheet or the Ranger craft sheet is also excellent. Place this on a firm work surface. Next, mix the resin according to the manufacturer's instructions. You will only need to mix a really small amount, about 5 to 10mls in total for a project like this. I can never stress this enough but if the manufacturer says measure equal quantities, then make sure you measure and mix equal quantities. Don't add extra hardener just to make sure - the resin will cure properly without adding extra hardener. And if the manufacturer says to mix it twice, then mix it twice. Following the instructions will give you great results every time. 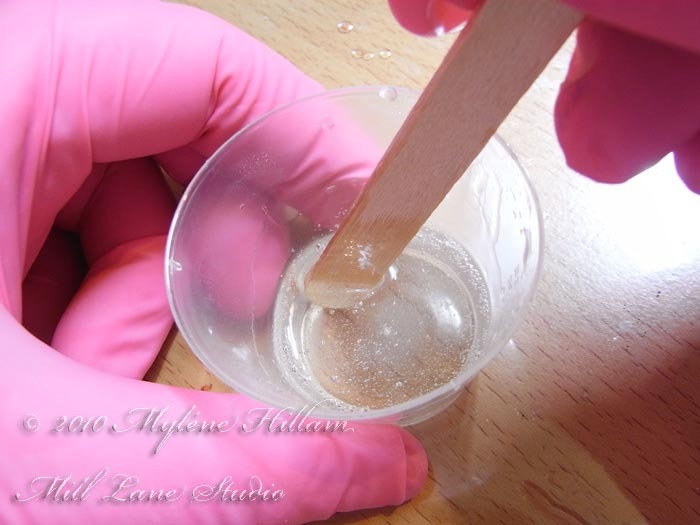 Now, using your applicator of choice, apply the resin in a thin coat across the surface of your images. 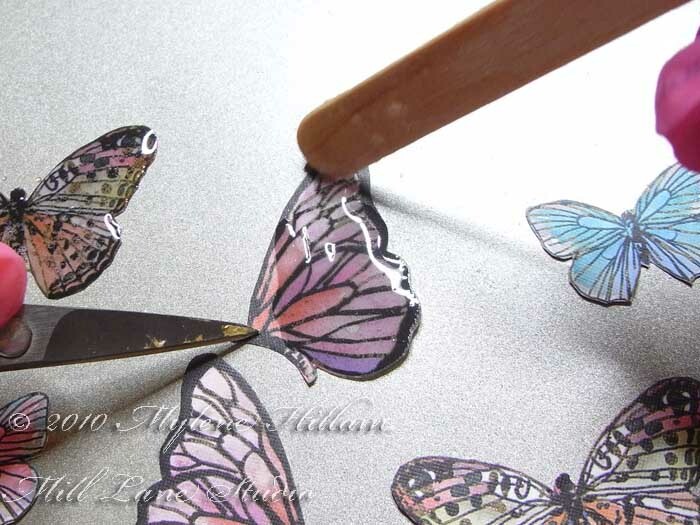 Try to keep the resin within the cut edges of the image so that you get the doming effect. You will most likely have some seepage underneath and that's OK. It just means you won't need to coat the second side and because you're working on a non stick surface it will just peel off when it's cured. You can add a second coat if you'd like your images to be more domed. Set your images aside to cure. They'll cure faster in warmer weather than they will in the cold - I usually leave them for between 8 to 12 hours and then coat the back if it didn't get a coating when you coated the top. And that's it! Once they're fully cured they're ready to be used in your next project. And the best part about it is that they are both waterproof and durable. 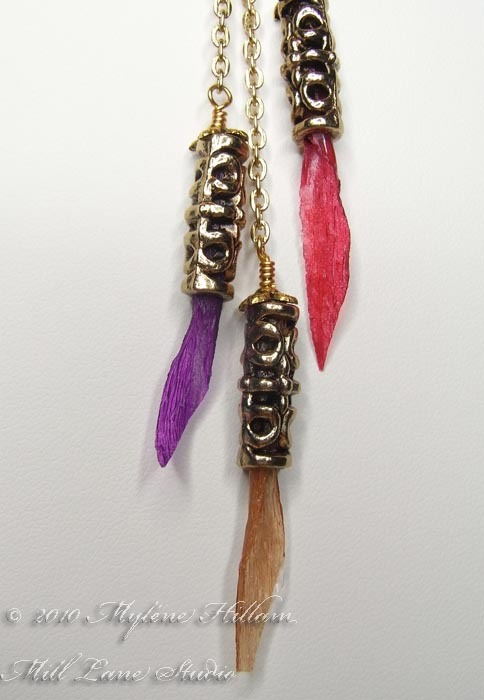 They are even tough enough to be used in jewellery. 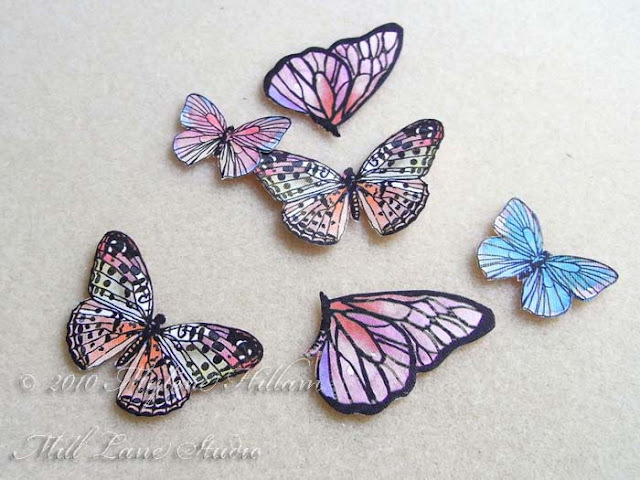 Wouldn't these butterflies look great as earrings?! If you find that it's too fiddly to coat small images this way you can coat with resin first and then cut out once the resin is cured but you get the nicer domed-look using the first method. And it's easy to turn them into stickers: just run them through a Xyron sticker maker and you're done. Like this tutorial? Pin it for later! As a young girl, I remember many cold, wintry evenings when my Mum would sit in front of the fire crocheting whilst watching TV. As she finished each round she would sift through the dozens of balls of brightly coloured wool in her basket, carefully selecting the next colour to add to her square. After many weeks of work she would have enough squares to piece together into a lovely warm blanket. She would crochet the squares together with black wool which made the bright colours pop - just the thing to brighten up a cold winter's day! I'm sure you know just the kind of rug I'm talking about. My Grandma was a crocheter. She crocheted the most exquisite borders on linen table cloths and they were highly sought after and prized by all the women of the family. 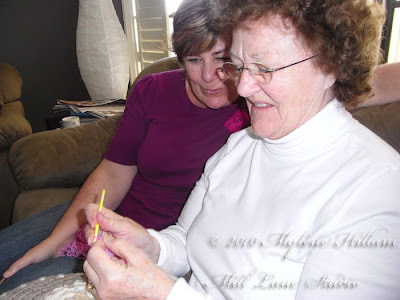 And it was Grandma who taught Mum how to crochet. I can clearly remember the day even though I was quite a young girl. She sat patiently with Mum as she taught her how to hold the hook and how to hold the wool over her finger to get even tension. 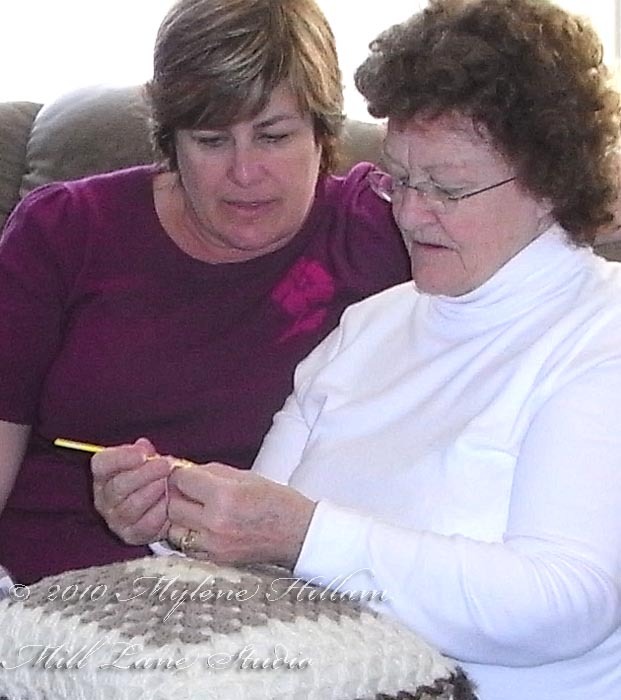 She taught her how to chain and make some basic stitches. Mum learned quickly and she was soon making those pretty granny squares. She went on to make dozens of what we affectionately refer to in my family as "granny rugs". They were made of pure wool and they're warm and colourful. 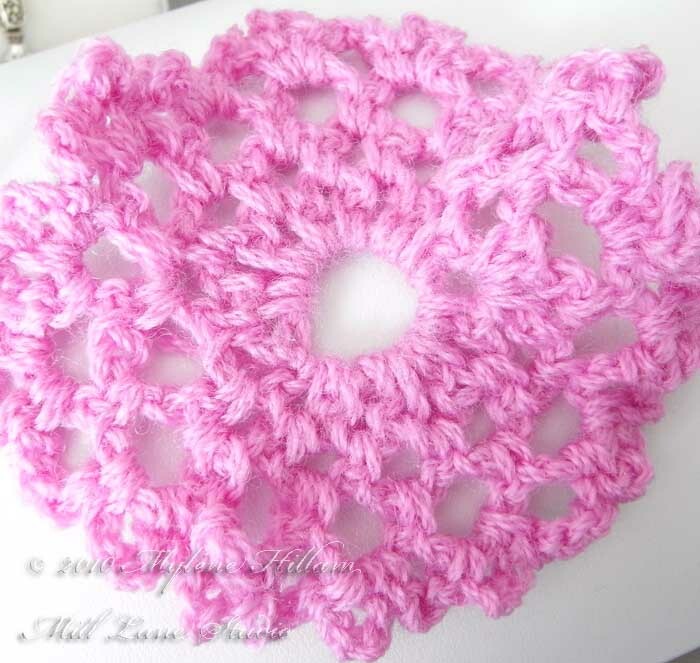 I still have the one she crocheted for me and it is still used and loved by all my children. 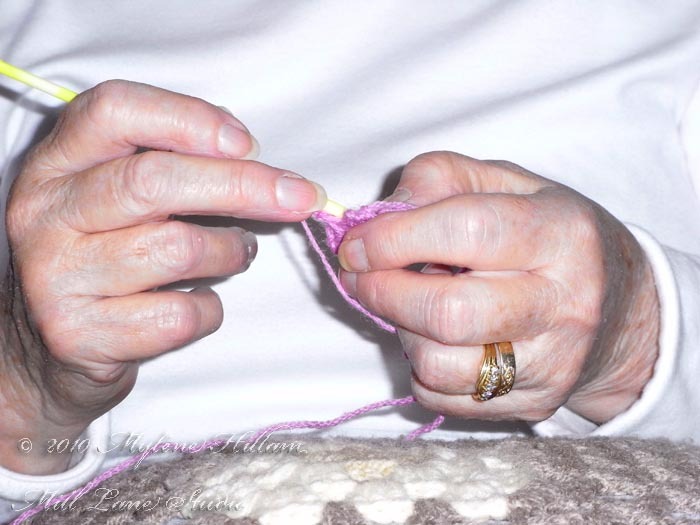 And yesterday, I spent the most wonderful day with my Mum whilst she passed on this wonderful skill to me. She taught me how to crochet - and whilst I didn't learn how to crochet a basic granny square, I did get the gist of how to crochet. My pattern ended up looking more like a frilly flower because I began experimenting before getting the basics but I was having so much fun. In the end neither of us know exactly what I did but now that I've got a bit of an idea of what to do I'm looking forward to start exploring some stitch names and patterns. It was really special to have my Mum here to teach me - it is a moment I will treasure for a long time! 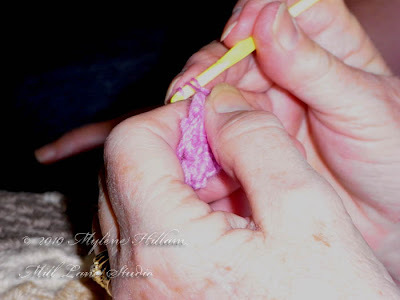 And who knows, one day my girls might be interested in learning how to crochet and I hope that it is me who they come to when they want to learn how. And whilst I might not aspire to make granny rugs, I certainly do hope to put my new found skill into practice on some smaller scale pieces soon. My fascination with resin always sees me trying something new and different and this week it has led me in a completely new direction. In the past I've done a lot of casting, including bangles, rings and focal beads. 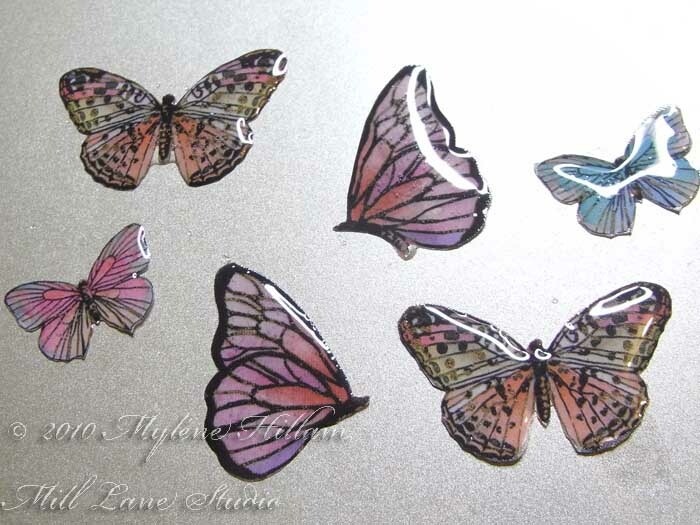 I've also created domed pendants using pendant trays and I've even created my own resin butterfly stickers. 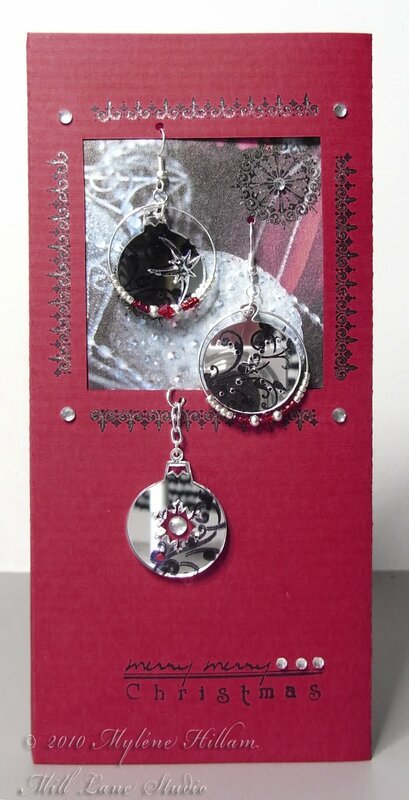 But today I've got a couple of pics of a completely different technique: creating 3D jewellery with flat elements! 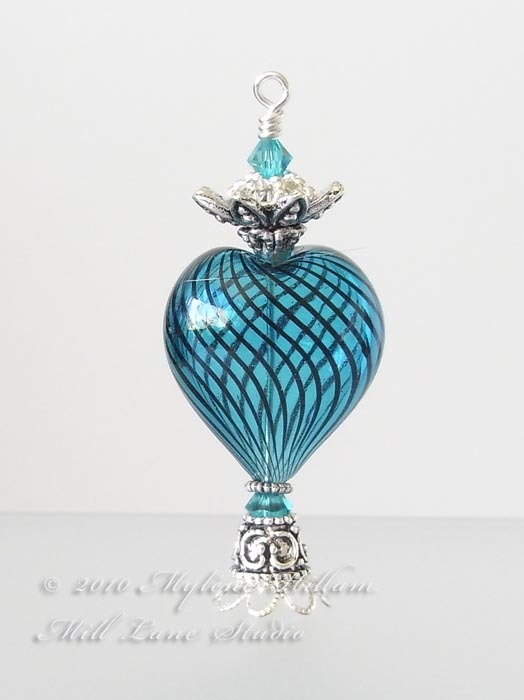 This exotic looking piece reminds me of Correa, a native flower in the southern states of Australia. Sometimes it's called native fuchsia. If you squint when you look at it, perhaps you can see a Correa flower too! Or maybe you see a Christmas Bell, another native Australian flower. Creating the translucent petals for this technique was a very simple but time consuming process, as each petal is individually formed before being assembled. 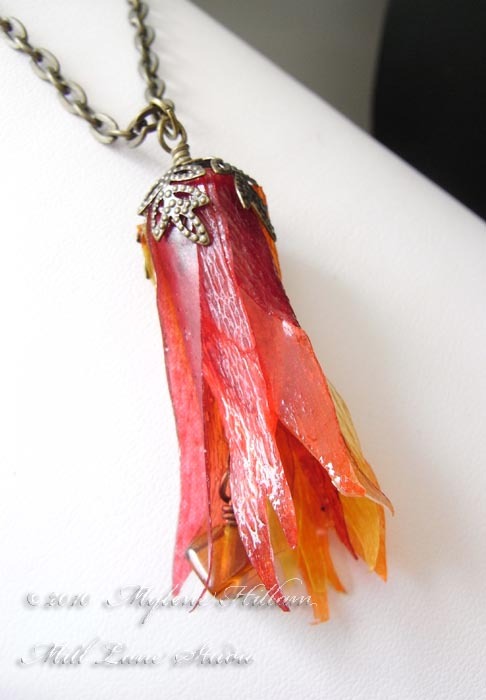 This technique starts out by painting a thin layer of epoxy resin on the individual pieces of base material (this is crepe paper). I prefer to use ETI's Easy Cast because it's low odour and most importantly, it's clear allowing the true colour of the base to show through. Then, once all the pieces had completely cured, I placed them next to each other on my work surface, overlapping them slightly and then rolled them up before inserting them into an interesting bead cap. And here's a simple variation of the same technique using individual petals in large holed cylinder beads. The close up shows the detail much better. 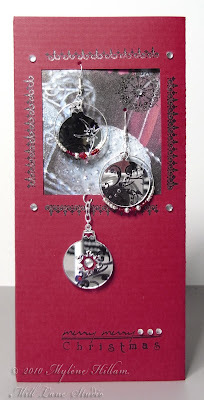 I'm still working and playing with this idea so no doubt my technique will change once I work out the best way of doing it, so these two pieces are prototypes but if you're interested in learning this technique, a workshop is planned for the future. Now let the experimenting begin!